During the twelve years I have been blogging, I have written several articles dealing with the problem of biblical illiteracy. 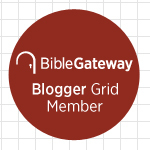 A click on the categories listed on the blog reveals that there are fifteen different posts dealing with the problem of biblical illiteracy. As someone who loves the Old Testament and has been teaching the Old Testament for more than thirty years, I am always very unhappy when I am confronted with the problem of biblical illiteracy. I tried to do something about this problem in my classes at Northern Seminary. After many years serving as the pastor of a local church and teaching in a seminary dedicated to train men and women for leadership in the church, I discovered that many Christians have never read the Bible in its entirety. Many Christians have never read every chapter and every verse of the Bible, that is, most Christians have never read the Bible from Genesis 1:1 to Revelation 22:21. As for the Old Testament, most Christians have never read the Old Testament in its entirety. This is the reason the Old Testament is dying. Most pastors never preach from the Old Testament. In a survey I took in class a few years ago, I discovered that most of my students have never heard a sermon from Joel, Obadiah, Nahum, or Habakkuk. Because preachers do not preach from the Old Testament, the Old Testament is dying. In my classes I required students to bring their Bibles to every class. They were required to read the Old Testament in my classes. In every course I taught, students had to read the biblical books being taught that quarter. In my twenty years as the pastor of a church in Chicago, I preached from every book of the Old Testament and from every book of the New Testament. I believe in preaching and teaching from every book of the Bible. My concern for biblical illiteracy is real. 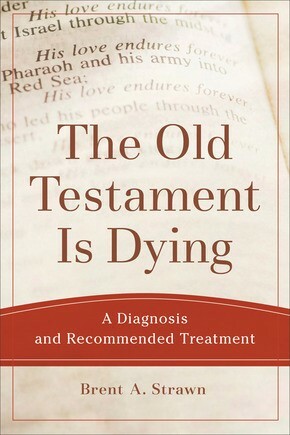 This is the reason why, when Baker Academics invited me to review the book The Old Testament Is Dying: A Diagnosis and Recommended Treatment, I did not hesitate. Below is a brief outline of the content of the Book. Brent A. Strawn, The Old Testament Is Dying: A Diagnosis and Recommended Treatment. Grand Rapids: Baker, 2017. xxvi + 310 pp. $29.99. ISBN 9780801048883. The Old Testament makes up the majority of the Christian Bible and provides much of the language of Christian faith. However, many churches tend to neglect this crucial part of Scripture, leading to the loss of the Old Testament as a resource for faith and life. This timely book shows how the Old Testament is like a language–a language is used and learned or it falls into disuse and eventually dies. Brent Strawn details a number of ways the Old Testament is showing signs of decay, demise, and imminent death in the church and criticizes common misunderstandings of the Old Testament that contribute to its neglect. He also shows that it is possible for a language to be recovered. Drawing fresh insight from recent studies of how languages die and are revived, Strawn offers strategies for renewing the use of the Old Testament in Christian faith and practice. This clearly written book will appeal to professors and students of the Old Testament as well as pastors and church leaders. The book begins with a Testimonia, quotations from sources discussing the problems the Old Testament faces in the life of the church and quotations from the Bible that illustrate the importance of the Old Testament, a conclusion, six appendices, three indexes, and an extensive bibliography. Strawn’s book is a must-read book by those who preach and teach in the church (and in Bible schools and seminaries) on a regular basis. Most people have no idea of how much the Old Testament is underused in our churches. In some churches, the Old Testament is absent from the pulpit as well. In future posts I will review the book in more detail. The next three posts will deal with each section of the book. Then, I will write a fourth post addressing the issues raised by Strawn and offering my own views on why the Old Testament is dying in today’s church. I will also offer some additional proposals on how to save the Old Testament from an ignominious death among the people of God. 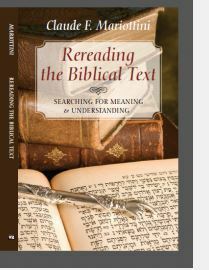 This entry was posted in Biblical Illiteracy, Book Reviews, Hebrew Bible, Old Testament and tagged Biblical Illiteracy, Book Review, Hebrew Bible, Old Testament. Bookmark the permalink. I guess I learned well because I am big on the OT. It is those stories that are as important as the NT stories. I did and even as a retired pastor doing supply preaching tend to choose more OT scripture. I generally get the comments I didn’t know that story. This is what happens when you preach from the Old Testament. People are fascinated with Old Testament stories. They never knew that those stories are in the Bible because they do not read the Old Testament. I loved your classes…and I have read many of your blogs…I will get this book and read it. I appreciated having you in my classes. I hope you enjoy reading the book. I know why people do not read the OT – it is very hard to read. It is by no means obvious or perspicuous. It requires historical, cultural, and linguistic awareness. As you requested, I deleted your comments. I left, however, a small portion of your comment because it is relevant to the topic at hand. Please feel free to delete these comments of mine. I must learn to temper my responses. I deleted the comments at your request. 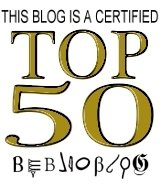 Please, send me an email at the email address listed on my blog. I want to talk to you about the Hebrew you use in your posts.